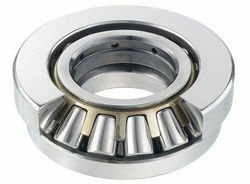 Owing to our proficiency in this automobile field, our firm is engaged in presenting Spherical Roller Thrust Bearings. These bearings are supplied to the consumers in different shapes & specifications with high ductility feature. Our rollers are extremely hard in frame and perform work with no friction. Moreover, our array of spherical roller is widely appreciated in the market for its durable body and safe working.